If you want pumpkin recipes you’re in the right place because we’ve got enough easy pumpkin recipes to see you through the Fall! September is here which means it’s time to start thinking about comfort foods for the cooler Fall months. I thought we’d start with some easy pumpkin recipes and I’ve found some yummy ideas for every meal of the day. 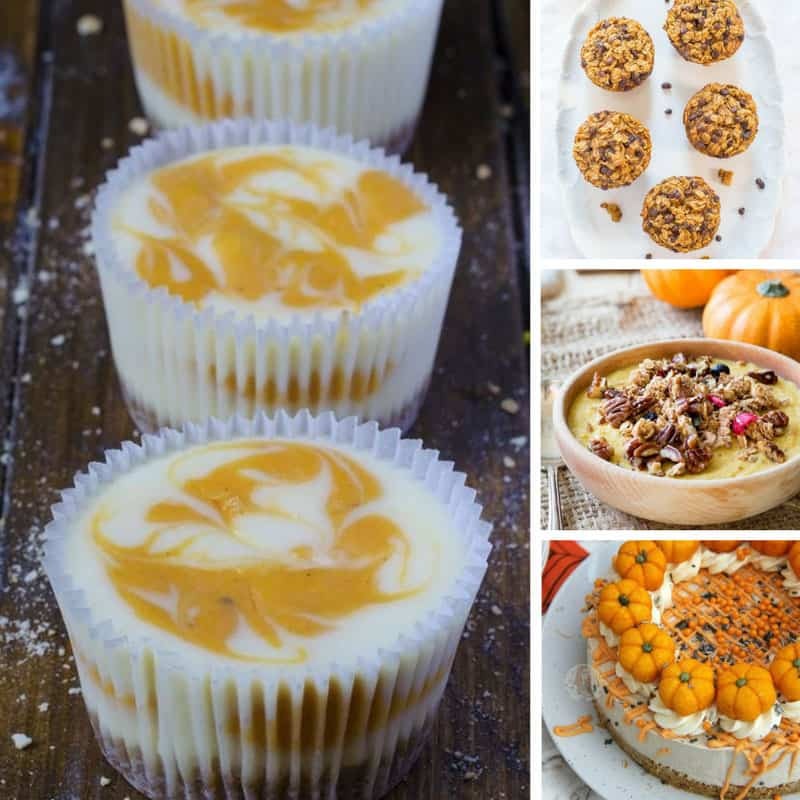 This collection has something for everyone, from Baked Pumpkin Pancakes for breakfast and a Spiced Pumpkin, Carrot & Sweet Potato Soup for lunch to a quick and easy Pumpkin, Spinach and Walnut Spaghetti for dinner and the most amazing No Bake Pumpkin Spice Cheesecake for dessert! Previous PostPrevious 18 DIY Play Kitchens so Amazing You’ll Want to Cook in Them Yourself!